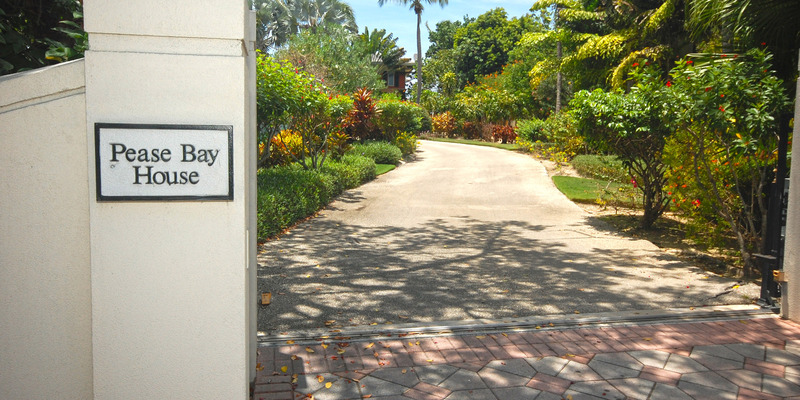 Welcome to Pease Bay House, a luxurious gated estate located just 20 minutes from the airport. 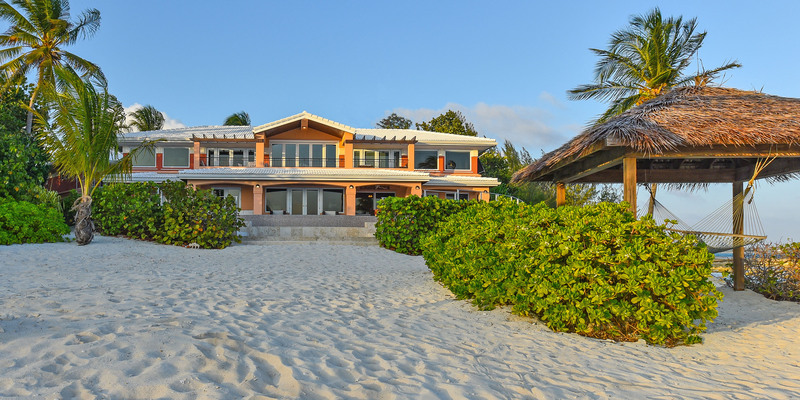 This spectacular home sits along a secluded sandy beach providing exquisite sunsets views. 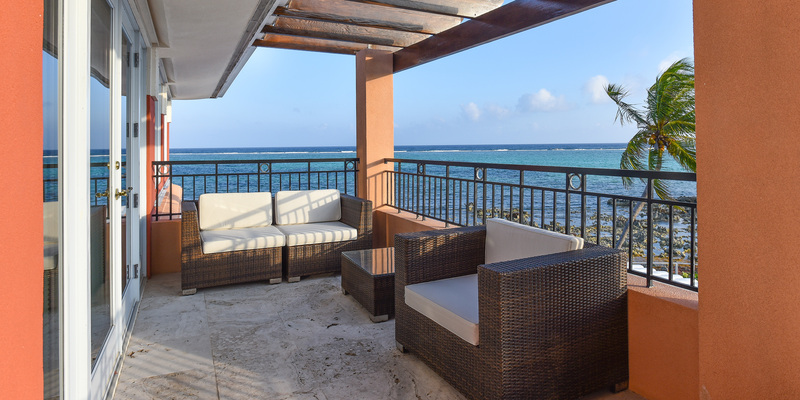 Due to its unique location, Pease Bay House is one of Grand Cayman's best kept secrets for those seeking privacy while on holiday. Spanning 6,000 sq. 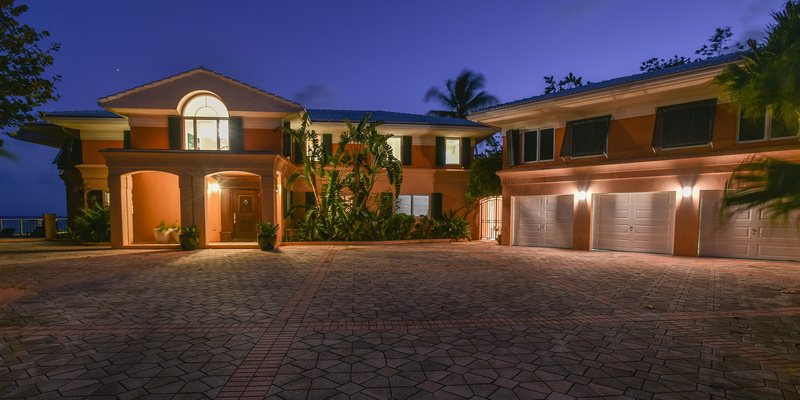 ft. across 5 bedrooms and 5.5 baths, this home has plenty of space for your whole family. 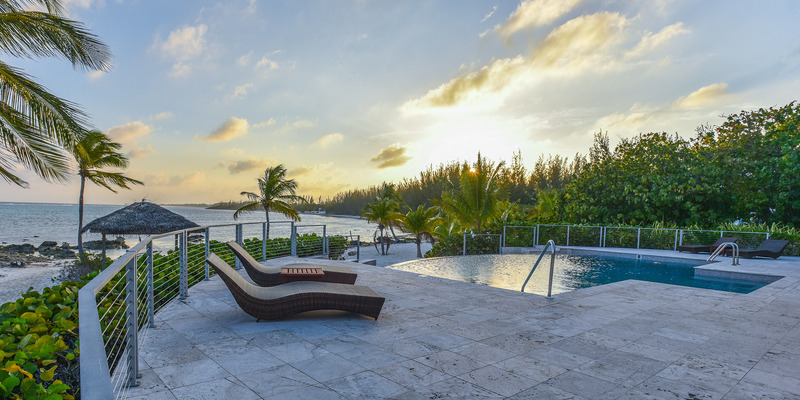 Pease Bay House is a unique property featuring a large infinity pool and a private tennis court. 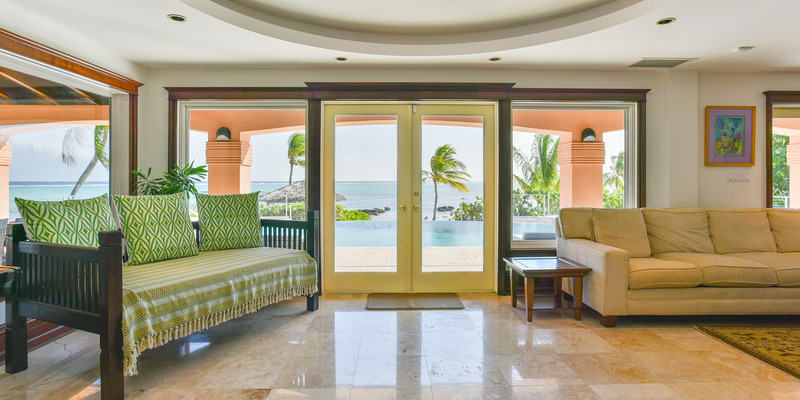 Walking through the front entrance, guests are greeted by the villa’s spectacular ocean views of the Caribbean Sea, a truly unforgettable first impression. 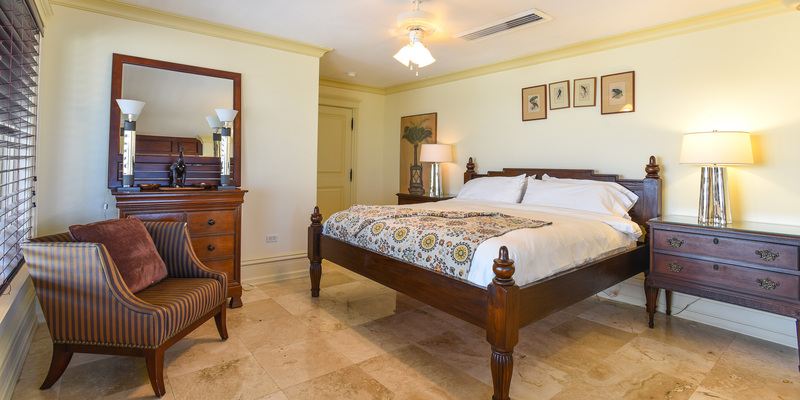 Architectural finishes throughout the villa include travertine marble floors, mahogany columns and walls, plantation shutters, and privacy blinds in each bedroom. 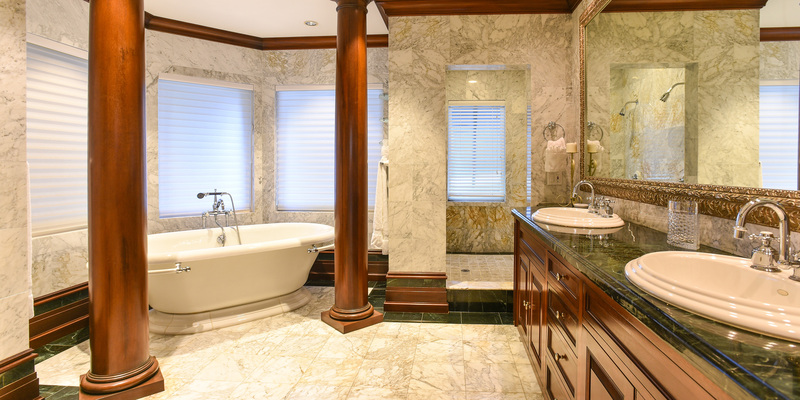 Luxury hotel-quality bathrobes come included with all bedrooms. A large thatched beach cabana with hammock will beckon those in need of utter relaxation, or an afternoon nap. Children can comb the shoreline in each direction looking for shells, lost treasures, and sea-glass. It would be rare to see a soul on this beach with the exception of your immediate neighbor to the west. Maid service is provided twice a week by the owner. Daily maid service can be arranged by request. Tennis equipment can also be provided upon request. 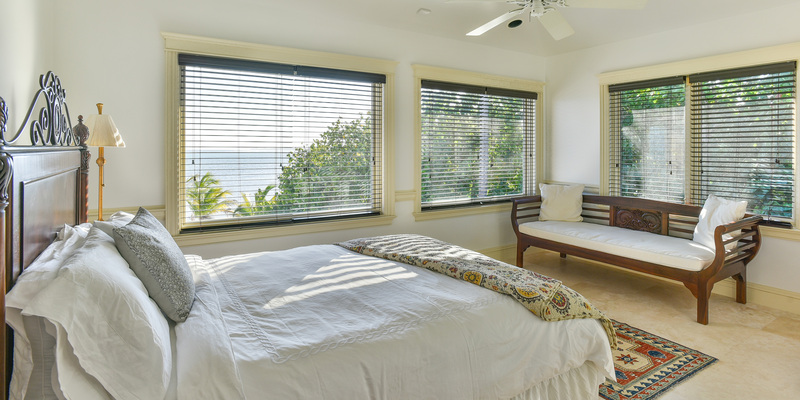 The westerly position of the villa leaves the 4 oceanfront bedrooms, pool deck, and kitchen in the morning shade for late sleepers. 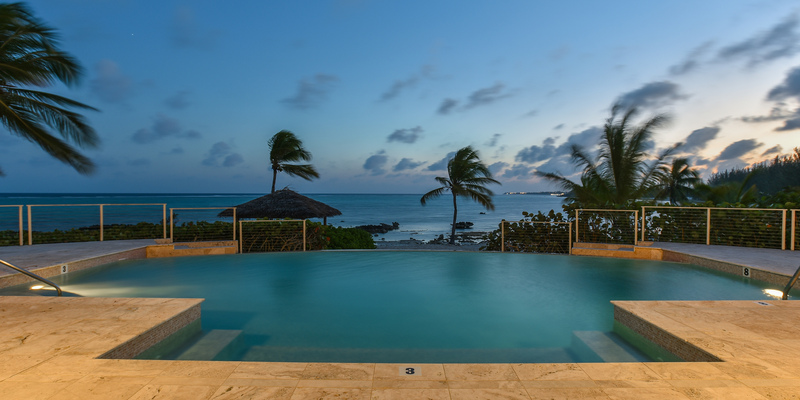 An oceanfront, saline infinity pool is gentle on the skin, clothes and eyes. 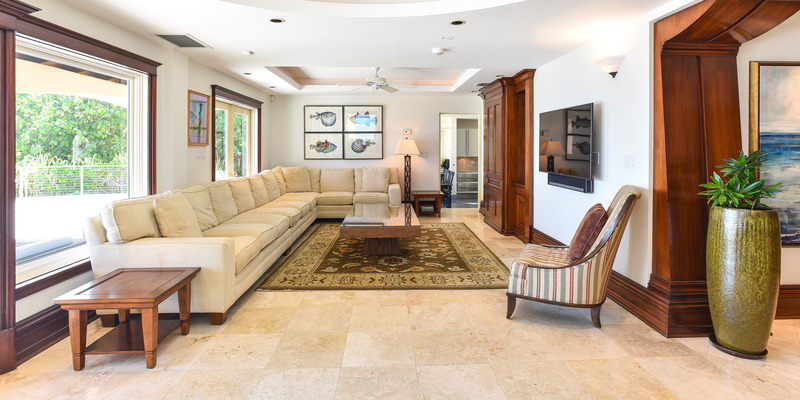 The downstairs living area opens onto the pool deck and features an upright piano. 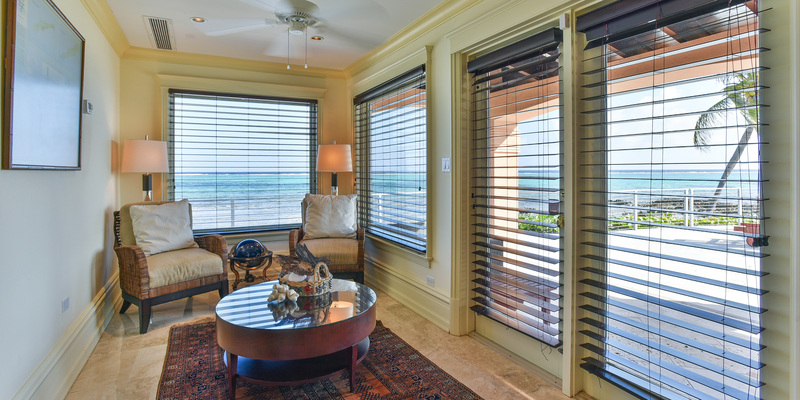 The second floor living area is furnished with three slipcovered couches, plush chairs, and spectacular views across the ocean terrace. 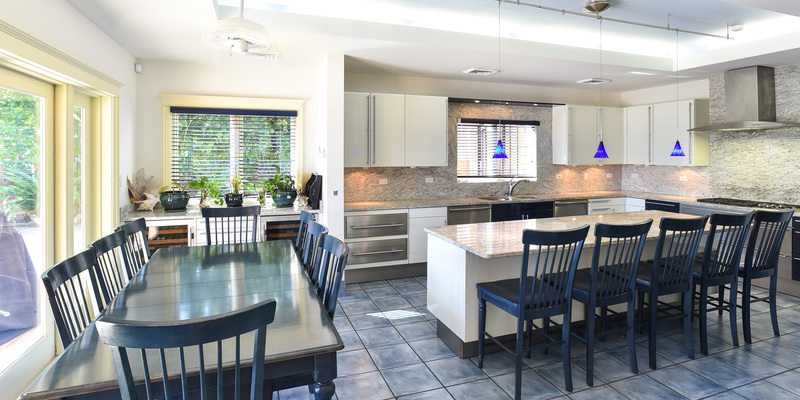 The kitchen is a chef's paradise with 2 warming drawers, 3 Sub Zero refrigerators, dual Miele dishwashers, 2 wine coolers, a large commercial-grade range with double ovens and hood, and ample counter space. Many guests indulge and hire a private chef for a memorable gourmet at-home dinner. Casual breakfast nook and counter provides plenty of seating in the morning. 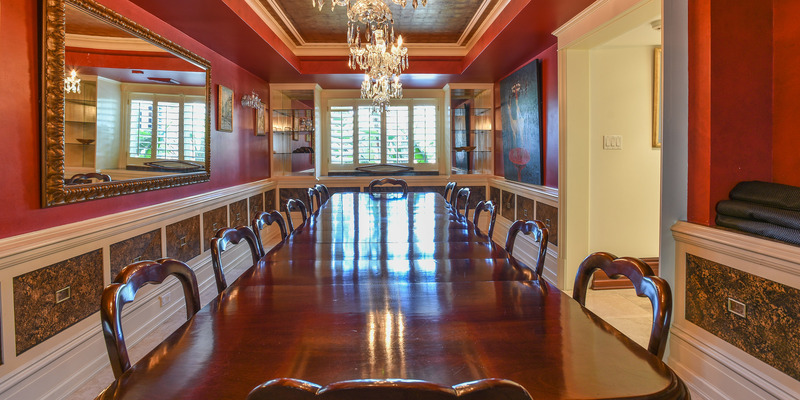 The grand formal dining room is furnished with a 12 foot table and stunning chandeliers. A media den converts to an extra bedroom with a sleeper sofa and full ensuite bathroom. Propane grill on the pool deck just outside the kitchen for island cookouts. Al fresco patio dining for 12 with additional seating available. Fresh water outdoor shower on the pool deck. 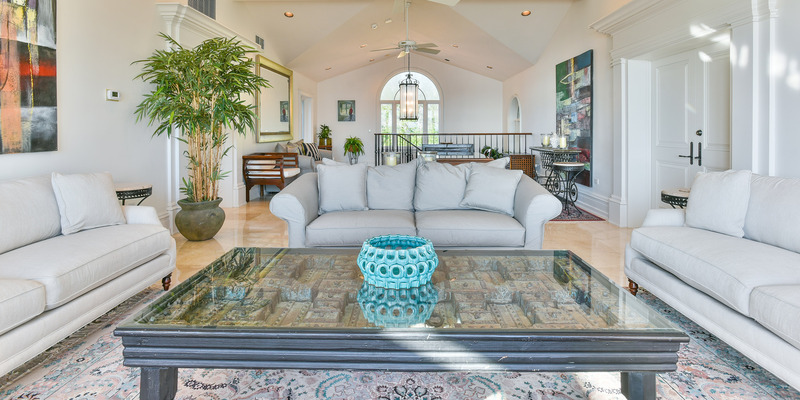 Pease Bay House is only 10-12 minutes from the Countryside Shopping Village in Savannah, where you will find a large grocery store (Fosters), as well as a pharmacy, medical clinic, wine shop, gym, and fast-casual eateries. Our Silver Thatch Fitness Center, exclusive to only our villa guests, is 10 minutes away and features cardio equipment, free weights, and a yoga studio. Pease Bay House is a non-smoking villa. No pets permitted. Owner requests no weddings, or events that involve invited guests. Pease Bay House is beautiful. Nicer than the pictures! 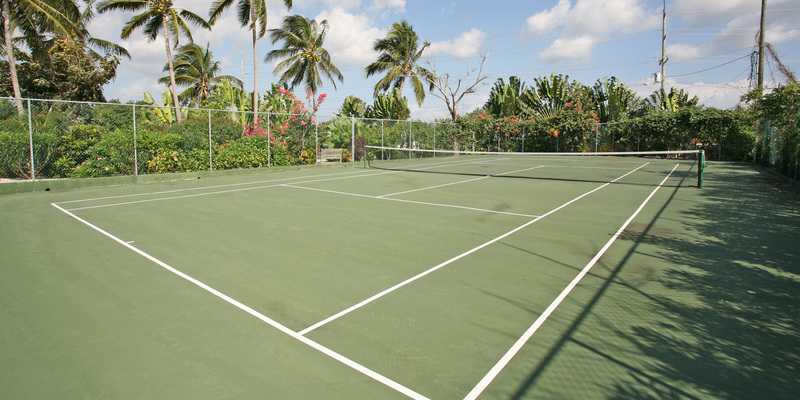 Large property with a tennis court! The landscaping is second to none. Inside the rooms are large with plenty of room for everyone. 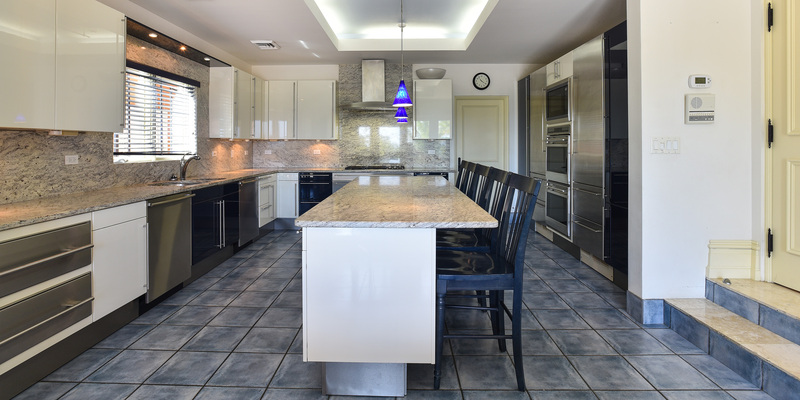 The kitchen is large and stocked with everything you could think of. The living and dining areas are very nice as well. But the pool, deck and view are tremendous! We spent every afternoon staring out into the sea. 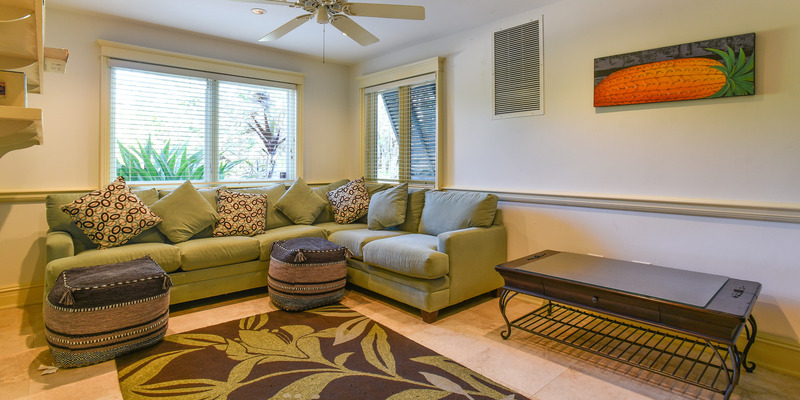 Great location, private but still close to towns, restaurants, grocery, activities. Stingray City is a must!! We will come back again and already miss our time there. Great memories! 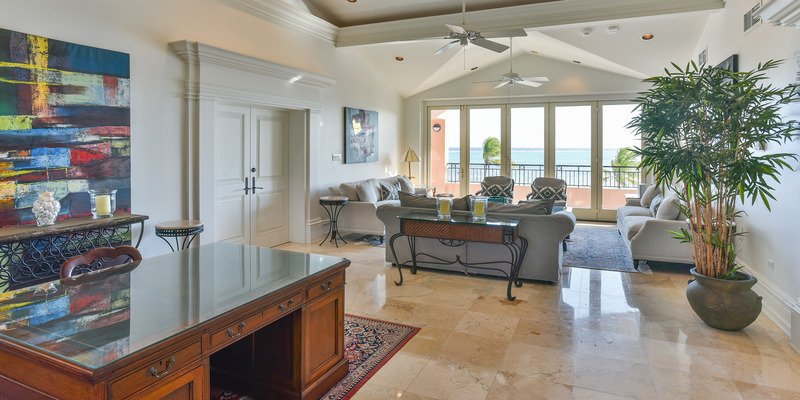 Not even sure I can put into words the beauty of Pease Bay House. Stunning home, inside and out. Large pool. The View - unmatched in my experiences. Privacy. Never any road noise. Like we were in our own world. Had a local cook out to cook dinners twice. That is a must! Easy island to explore. Friendly people everywhere. Great sightseeing. 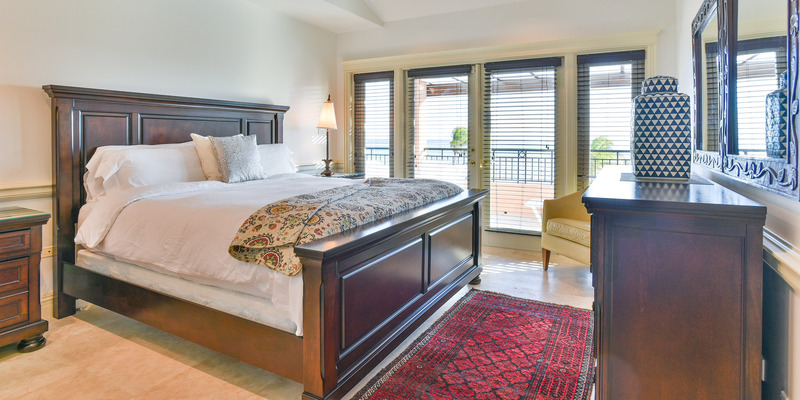 We will be back and recommend Pease Bay House to everyone! We loved our stay in this mansion of a home!! The most perfect views ugh! I\'d go back in a heartbeat. We spent all of our days out on our own beach and pool. Kids loved the tennis court! Our favorite thing was walking on the beach during sunset hour. Best dinner was when we had a chef come in to cook. It\'s more than worth it! We all agreed that was the best night of our vacation. That and snorkeling right behind the house!! Guarantee you\'ll love this beautiful home! We absolutely loved Pease Bay House! It felt like we were staying at our own private luxury resort. The pictures on the website do not do this house justice... it is STUNNING!! Although it\'s probably used for tennis most times, my kids loved playing tag on the court. I loved cooking for the family when we stayed in, but didn\'t like doing that because the island has the BEST food! I think I would come back just for the food. We mostly ended up hanging out in or around the pool in our downtime and loved the view. There is no better feeling than not having to share a beach with other people, having our own beach just made it that much better! 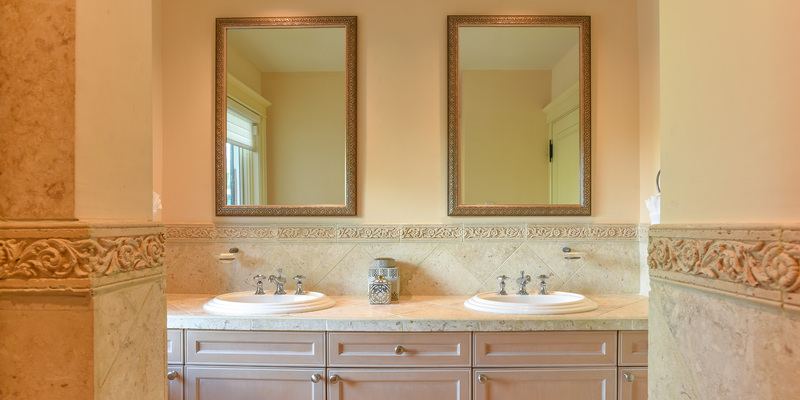 My husband and I have to share a vanity at home, but here we got our own sinks and mirrors. It\'s the little things... thank you for sharing your home with us! Hopefully we\'ll be back soon!! Created absolutely wonderful memories here! Truly wonderful to stay at this beautiful house and see a special part of the island! Thank you!! An incredible, beautiful home. Thank you for the great stay. Always love my Cayman retreats. Special place for special people. Nice and comfy home. Gorgeous views from the pool deck. Spent everyday enjoying the sweet sun in the Caribbean. Best home we\'ve stayed in on vacation. Thanks! We (all 12 of us) had a fabulous time in this house. We highly recommend the Czech Inn just down the road. Beautiful views & amazing dives await you on the island. We will be back. GUARANTEE IT! We have a wonderful time celebrating our parents 65th birthdays where at this beautiful home. The views were everything. Thanks for having us! My two year old learned how to swim in the pool... very kid friendly. Couldn\'t have asked for a better trip! Love this house and island!! 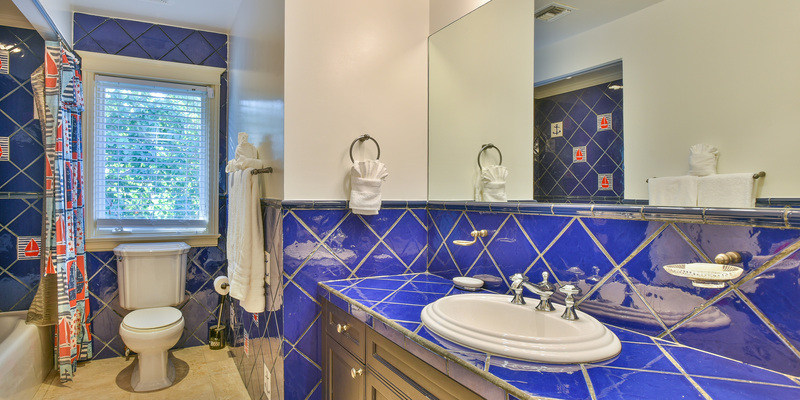 We simply love Pease Bay House! 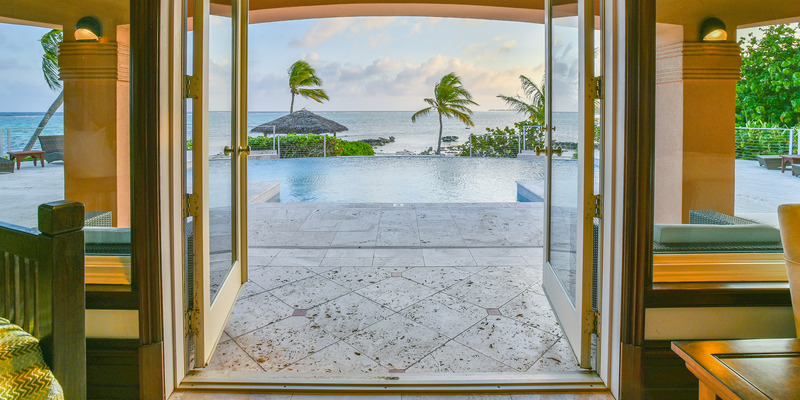 Ever consideration has been thought of in the house itself – but this particular Caribbean Bay is magical – the privacy, the colours, and the view, just gorgeous. 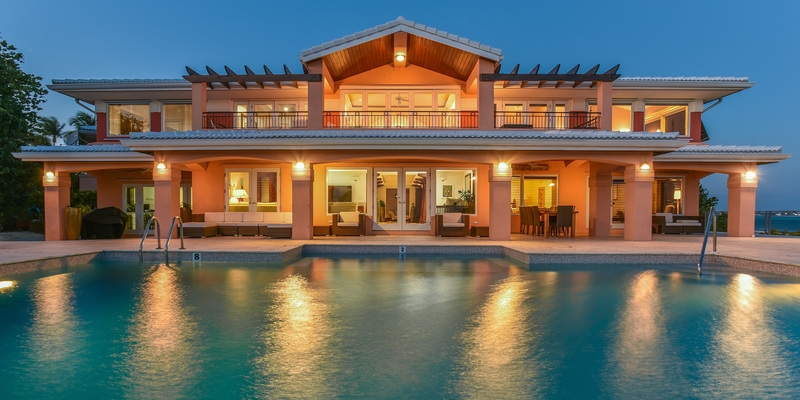 We shall definitely return and recommend to friends – both Pease Bay House and the wonders of Grand Cayman! Thank you! We enjoyed our wonderful week at your beautiful home! The views we had, the pool, kitchen, beds, beach, and patio were all spectacular. We loved the perfect weather and being able to relax. I can\'t remember a time in my life where I have felt this relaxed. Thank you for much for everything! Can\'t say enough positives about this home! Everything we needed was there. The rooms were elegant and updates. The kitchen amazing. So much room to spread out. Long beach walks. Short drive to Lighthouse restaurant - highly recommended. East end restaurants are fabulous. Friendly island. Easy to drive on left!! We will be back! Great Place, Great House, and Great Memories! The Bakers celebrated Dottie\'s 50th birthday with family and friends! Memories that will last a lifetime. We absolutely loved Pease Bay House. Thank you for letting us stay in this amazing house. The views were incredible, the kitchen was huge, and it was nice of our whole group to be able to sit down at one table and eat together. We even decided to have someone come cook authentic Cayman food for us! It was one of my favorite meals besides eating at the Lighthouse. Thanks for the memories, we will be back. This house is purely stunning! You get a large private beach just for your group plus an amazing pool and patio. Sunset cocktails are a must here! We loved the extra perk of the tennis court too. Spent the mornings in the water and the afternoons playing tennis! Fit all 10 of us nicely. Even felt like we had some extra room! The Lighthouse (our favorite restaurant) is super close. Love the South Coast for the privacy. 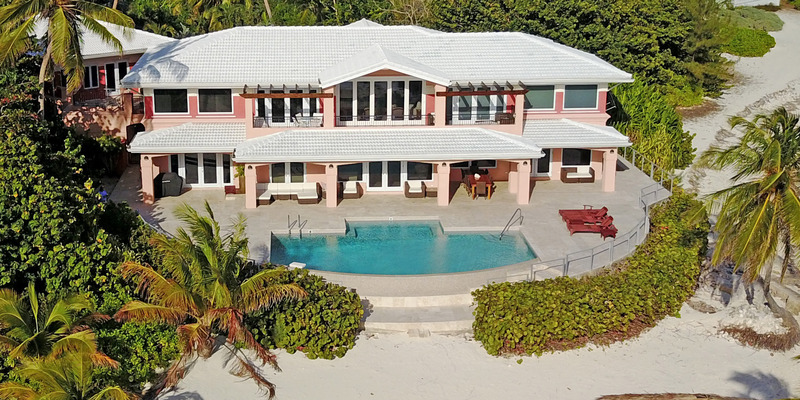 Every time we come to Cayman we\'re going to stay at Pease Bay House! It might not be that hidden, but this is for sure a gem! We have been staying on Grand Cayman for the past decade and finally decided to bring the rest of the fam. It worked out perfectly!! The home was beautiful and we adored everything about it. From the amazing views, to the infinity pool, to the private beach, to the tennis courts, to the amazing interior of the house. Everything was just absolutely perfect. All of our kids got certified and we were able to go on a few excursions. We had a wonderful dinner at the Lighthouse and Casa 43. Thanks for all the memories!!! This house comfortably fitted our entire group of 12! Enough room around the table and living rooms. Everyone loved the tennis court! We even had a little mini tennis tournament one day. The kids loved the pool. We all loved the beach. It was a gorgeous week in our own little slice of paradise. 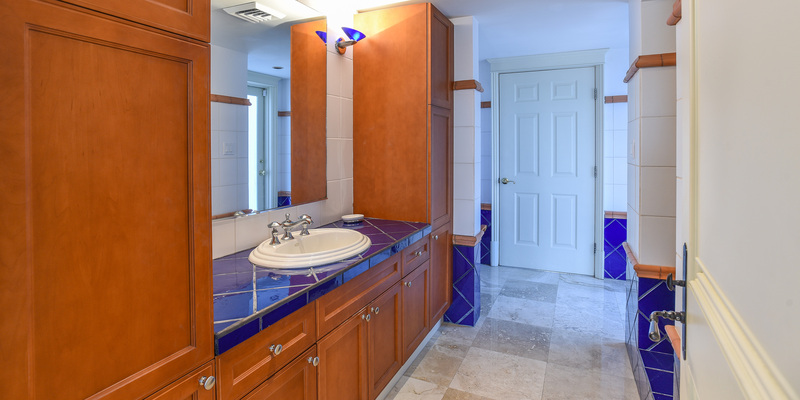 We CANNOT recommend this home more!! We\'ve been coming to Cayman for 5 years and for the past two we\'ve stayed in Pease Bay House. This home is the perfect big family house! You get your own little private beach and pool on a perfect beach in the Caribbean. There is even a tennis court! The views are incredible. 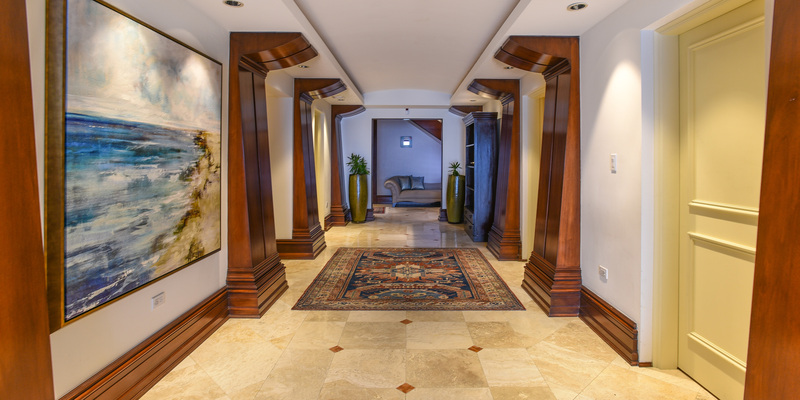 The inside is stunning with nice interior design! You\'ll never get sick of this house. We wish we could live here all year round! We\'ll be back next year to our favorite vacation home!